I've got a few of the older black t-shirts but what about the antiques? Anyone got a snow globe? If I remember right, the drive was an x-mass gift. Don't remember when it was though. Sounds nice. 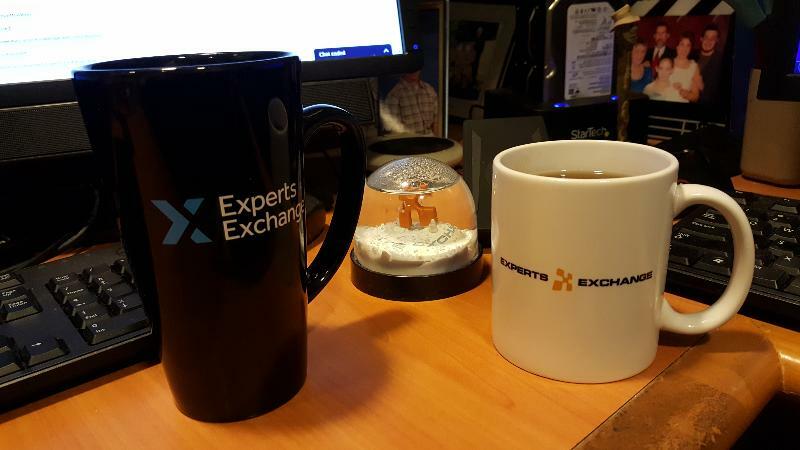 Came into office and realized I had 2 mugs, one with the old logo that I hadded put the new logo sticker on, and a bigger one with the new logo. I'll take the big mug for sure. I use the big one daily. Love the tall black mug how did you get that may I ask. I recall it being a Christmas present, buy I don't really remember.